In the late 1980s and 1990s, there were all sorts of amazing Japanese sports cars that we didn't get in America. But as those cars get older, our 25 year exemption rule for importing cars takes effect. What that means is it's time to welcome the R32 Nissan GT-R to America. The 25 year exemption rule let's us bring all over all sorts of rocking cars from the east. That includes the granddaddy GT-R, the R32. 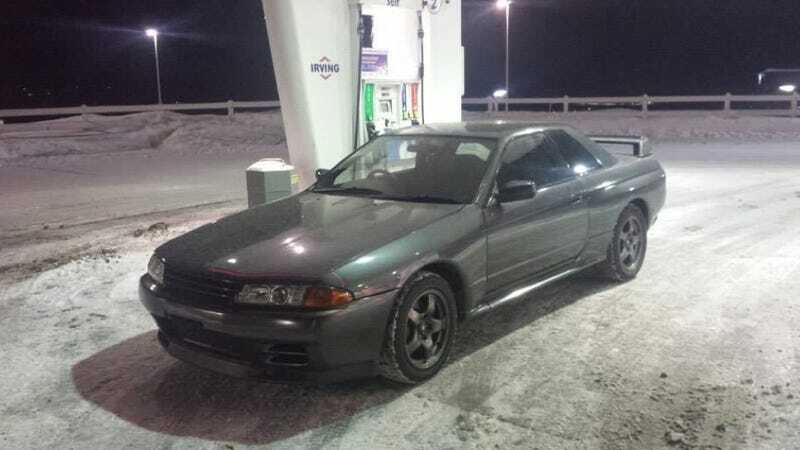 And according to the GT-R USA Blog, the first R32 has just landed in the USA. Trevor Cobb is the lucky, lucky man who was able to import Godzilla to America, and it doesn't even sound like there were issues bringing it over. The car came in from our friends to the north and he "had all his ducks in a row." What this means is that there is no need to risk importing a grey market R32 that could be seized and destroyed. And what's even better is as time goes on, even more exciting cars will be able to come to America. I'm looking at you, Subaru 22B STI. 2023 can't come fast enough.